I grew up in a Catholic family, in a country where most people are Catholic. My route as a Catholic boy was, at the end of the day, very classic: baptised as a baby, holy communion at the age of seven, confirmed at twelve. I was educated in a Catholic primary school: not very different from most other schools, simply with religion classes and nuns in an adjacent building. I usually went to Mass on Sundays, with my family. For a long time, thus, being Catholic was a habit, a social practice more than a spiritual activity. Did I believe in God? I think I did not even asked myself this question: I just went to Mass because this is what we had always done. I think it changed at the age of eighteen, in Italy, where I was alone for more than a month, working in an hotel during the Summer holidays. 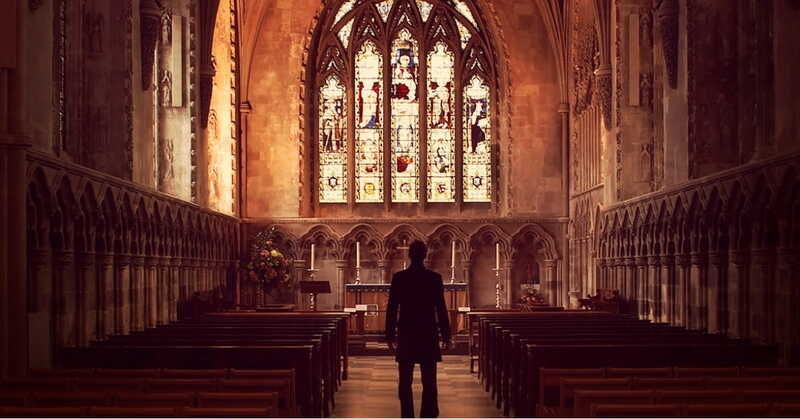 One night, I felt I needed to go back to a church, though there was no one to force me. I went to an evening mass, without anyone knowing I was there, and without anyone knowing me who I was amongst the parishioners. It was good. A month later, I started university, in a different country from where I was born, and thus independent again. I was free to go to Mass or not, free to believe or not, and I chose to do so, freely. I don’t think there was a magnificent moment of grace or revelation; just a shift of mindset, which translated into a real and genuine openness to God. Today in Oxford, the situation is a bit different, as I am in a country where Anglicanism is the norm. I believe very much in the reunification of our divided Church; I am also involved in my college’s chapel. But, it also means that it creates closer ties with my fellow Roman Catholic friends. This year, what I have tried to do is not to do any work on Sundays. I would go to Mass in the morning, have lunch, then play sport and relax in the afternoon. At first, I thought it would be complicated to achieve because of the massive amount of work we all have. But no: I just work a bit more on Saturday, and this is enough. And it creates a big difference: it helps me recharge my batteries (which is eventually beneficial to my studies) and, above all, gives more spirituality to my life and helps give sense to what I’m doing.